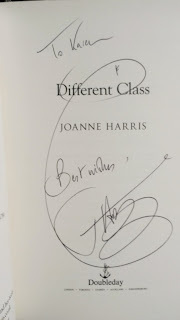 Karen Martin Reads: Post 34: Different Class by Joanne Harris...a novel in a class of its own! This post finds me at a moment of calm in the teaching calendar. I have waved goodbye to year 13; always a mix of sadness and excitement as they move from the shelter of school stability and stand on the cusp of independence. I now leave it up to them and the examiners of AQA as to their fates! In the meantime, year 12 remain on study leave and I am pausing before they return to embark on their year 13 courses in a couple of weeks. In that pause, I have completed Joanne Harris's new novel, Different Class. Set in St Oswald's School, it was an apt choice for this time of year. And it was worth the wait. Pencil in hand, I read slowly, absorbing the novel's conclusion. If I've tempted you already, you can skip the detail and buy a copy! Or better still, pop a copy in an electronic basket and then come back to me as I fill you in on a little more detail. That should have you eagerly anticipating that rather delightful thud as your new book lands on the mat. As Straitley, an erstwhile narrator of Gentleman and Players takes central stage in Different Class, he reflects on being a "tweed jacket" who is increasingly resistant to the changes engineered in St Oswald's school by the "suits". Whilst not yet approaching retirement, despite the messages sent out by my (premature) silver hair, I had great sympathy with Roy Straitley. Where he sees professional common sense, someone else sees a necessity for a policy. Where he sees a student, someone else sees a statistic that is ripe for improvement. It is a sad fact that education is so target driven. It is a sad fact that so many of our students feel that success is only measured in A grades. It stifles expression and creates huge fear of any form of failure. Resilience is needed, but through creativity and discovery as opposed to the more bullish growth-mindset thinking that can create its own sense of failure. But I have digressed! I'm sure Mr Straitley and I would have a lot to discuss over one of those ring- stained coffee mugs in an ubiquitous staff room, but he has a much more exciting story to tell. I confessed in my last entry that Joanne Harris had managed to hoodwink me with Gentlemen and Players. In Different Class, I was completely absorbed and totally wrong-footed. As with the former novel, this one has multiple narrators. The first is Mr Straitley and the second is an anonymous diary writer who addresses his missives "Dear Mousey." By the eighth and final part of the novel, I had given in and was forced to re-read some of the opening chapters. My revered signed copy of the novel now has some graphite scribblings in the back so that I could unpack just who was who and who was doing what to whom and why! Fortunately, Roy Straitley remained as clueless as I was until the end, a technique which works really well. I never felt cheated by the writer, but I was certainly challenged as the plot twisted and unfolded more strands than an origami molecule. And yes, I've made a link to the origami, in case you need some distraction! Let me try and give you a plot outline. Straitley is resigned to the interference of a new super head and his crisis team, sent in to sort out St Oswald's following the poor peformance of the school. The new Headmaster is Johnny Harrington, a past pupil of Straitley's, for whom Roy holds no affectionate memories. The chronology of the book switches between the present (2005) to Harrington's time in school (1981). This cleverly intertwines multiple story lines. From the rescue of the out-moded honours board in which Straitley is comically involved, to the exposition of the unlikely friendship between Harrington, David Spikeley and Charlie Nutter as they form a bond forged by the fact that they are new boys in an established class, the plot contains comedy, pathos, tragedy and unpredictability. Harry Clarke is another significant figure in this novel, pulling together all the other characters and plot strands. A teacher in 1981, he enjoyed a friendly relationship with Straitley and was popular with the boys. His teaching methods were unorthodox, and his encouragement to get the students to call him Harry and to join him during break times to listen to music made him an anomaly when juxtaposed with the more traditional Devine, Straitley and Scoones. It also rings alarm bells in the modern reader where stories of historic child and sexual exploitation abound in the news. And so the accusations begin. Naturally amenable, Clarke is the students' choice for confidential disclosure. His own sexuality however makes him vulnerable and his position becomes untenable. He never has his own narrative voice, and so we learn of his story bit by bit, with the truth not fully exposed until the closing chapters. Likewise, we learn of the alliances between Harrington, Spikeley and Nutter as the novel progresses. With no spoilers at all, I will urge readers to pay attention to all nicknames in this book. Exactly who are Goldie, Poodle, Ziggy, Piggy and Mousey? I'll leave that there, and leave you to enjoy the book in its rich fullness. Set against the main background of St Oswald's, to which all the characters have a connection, there are also other settings that impact the story. 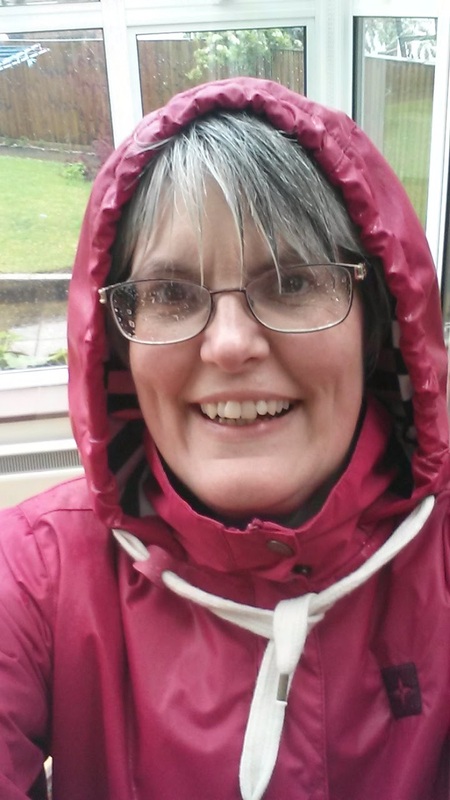 The church attended by Harrington's parents is intolerant and propagates prejudice with a hell-fire condemnation for anyone who thinks differently. This is a subtle but significant strand, which influences the three boys and continues to resound in the lives of the modern pupils in Straitley's form of 2005. The clay pits are the other significant setting, drawing boys in to rebel from conformity. The fact that they are out-of-bounds makes them menacing but intriguing. The dumped rubbish, magazines, burnt out cars and shopping trolleys form the detritus of modern life, but equally they provide a playground for boys seeking to break free of adult supervision. Attracting lads from Sunnybank (the local comprehensive) as well as the privileged St Oswald's, the lure of the pits crosses the class divide. Other elements also cross this invisible line, creating relationships and alliances that help to make the story more complex and more satisfying. Despite my need to resort to sifting backwards and paying more attention to facts and ideas that I had initially dismissed, or perhaps even because I needed my pencil notes at the end, I must endorse this novel. It is, as Val McDermid is quoted as saying on the dust jacket, "A masterpiece of misdirection." 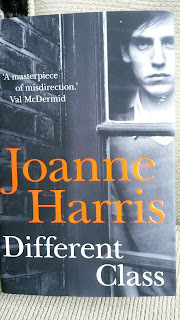 Though rightly popular, Joanne Harris needs more critical acclaim. She is worthy of reading, but she is also worthy of studying. I know that even as I shut the novel this afternoon and reflected on what I had just read, the book will benefit from a re-read. Next time, I'll dive in with my eyes open, but I think she will still surprise me.